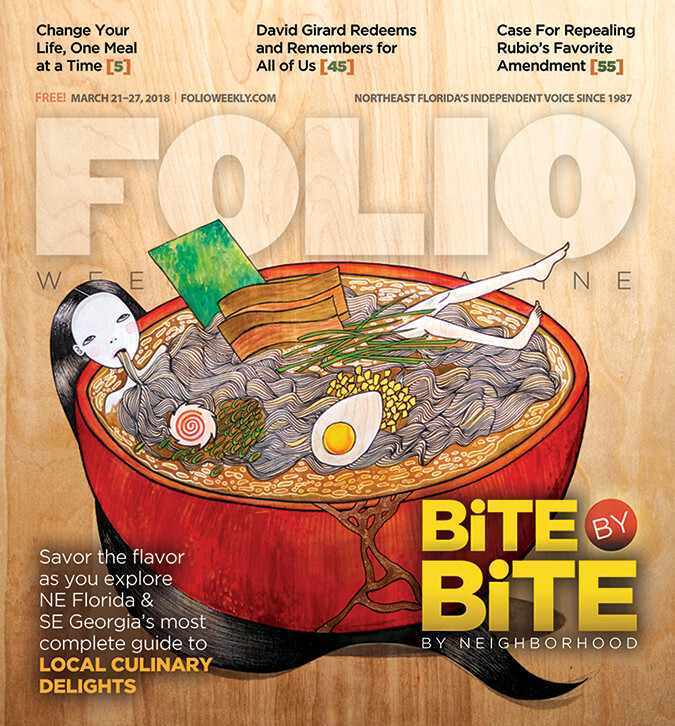 Welcome to Folio Weekly's Bite by Bite by Neighborhood Spring 2018! In this delectable issue, you'll find restaurant mainstays, favorites and newcomers to our little corner of the globe. From Camden County, Georgia, south to Anastasia Island and west to Green Cove Springs and everything in between-this is your quintessential guide to eating down the street, at the beach, across town and on a weekend getaway to one of our beloved neighbors. And who better to serve up the goodies than the region's independent voice since 1987? No one. "The Fat of the Land: Change your life, one meal at a time," by Claire Goforth. Now go find your Folio!